"I was chosen with care." Every product that is part of the INSER HOAMAT family can say this. 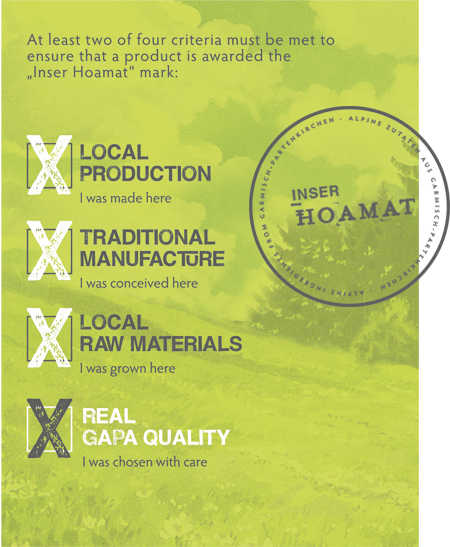 And all of the members have something else in common too: They meet at least two of the four established quality criteria: What the local INSER HOAMAT brand is based on and clearly shows, what is to be found in the selected products and why they are real Garmisch Partenkirchner. You can see the criteria here as well as on the respective product labels.